Our first conference exhibit is in the books as a major milestone and big success. 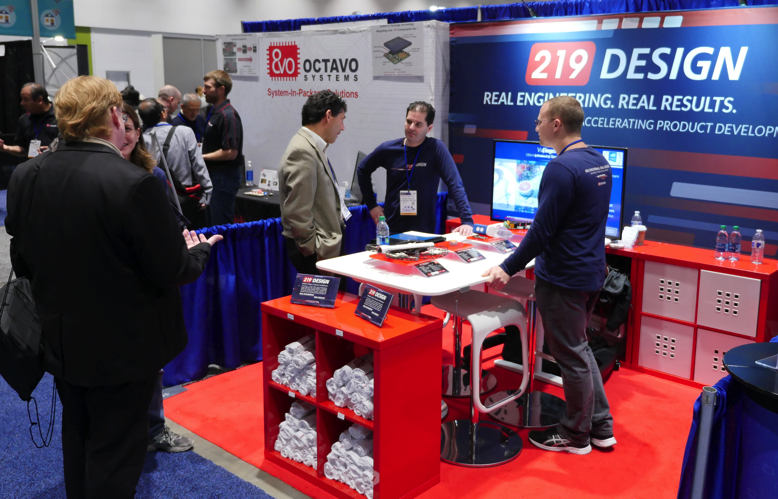 The Embedded Systems Conference (ESC) Silicon Valley was well attended by 219 Design this year. When we weren’t busy building our embedded systems knowledge and skills, we were working at our very first conference booth, perfectly located between the BIOMEDevice and Embedded Systems Conferences. 219 Design is an interdisciplinary engineering firm with a lot of experience developing embedded systems, surgical robotics, and graphical user interfaces (GUI). Our background and expertise made ESC/BIOMED a pretty perfect place to meet with current and potential new clients. Much like speed dating, we spent a little time with a lot of people trying to find a good fit between their needs and our skills. We are already building some new relationships. Exhibiting at ESC was an important step for 219. We have thrived on word of mouth almost exclusively since we open our doors in 2004. While we are grateful to our clients for helping us get this far, we have built a strong foundation and we’re positioned for more growth. So, you can expect to hear and see a lot more from us on Facebook & LinkedIn and at Meetups & Conferences! We have a busy 2018 planned, starting with the Consumer Electronics Show (CES) where the whole company will be exploring next-generation technology. Then, we get back to work on some challenging projects that leverage our skills in software, mechanical, and electrical engineering as well as UI/UI and product design. Happy New Year!